Kalibračný certifkát DKD vlhkosť - Kalibračný certifikát DKD vlhkosť | Vlhkost | Parametr | Testo, s.r.o. With this DAkkS calibration certificate for humidity, your measuring instrument or probe is calibrated at the following points: 11.3% and 75.3% relative humidity at +25 °C. 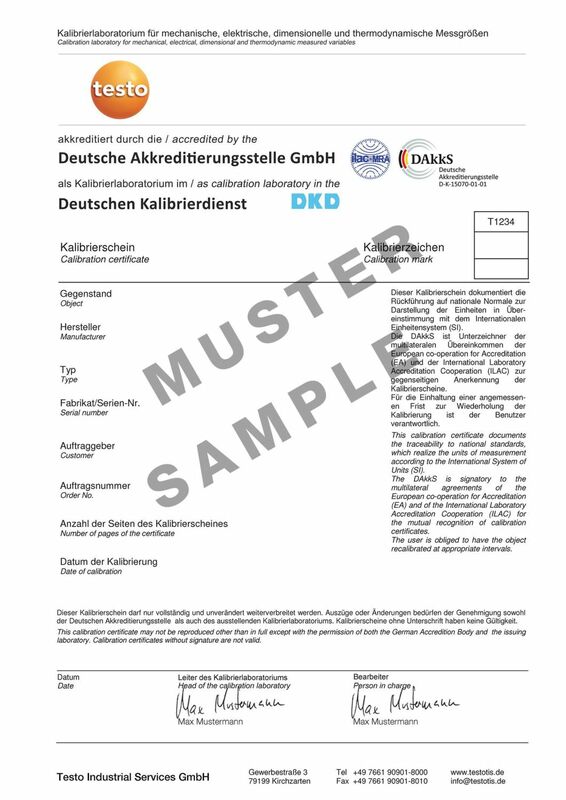 DAkkS calibration certificate for humidity with the calibration points: 11.3% RH and 75.3% RH at +25 °C.